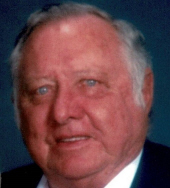 Ronald M. Riffle, 81, of Ligonier, died Thursday, January 24, 2019 in the Bethlen Home. He was born October 12, 1937 in Ligonier Twp. a son of the late Merle R. and Bessie Berkey Riffle. Prior to his retirement he had been employed as a carpenter. He attended the Waterford United Methodist Church, had served in the Penna. National Guard, and was a member of the Ligonier Twp Sportsmen's Club. In addition to his parents he was preceded in death by his beloved wife, Marjorie Pritts Riffle in 2005, a son, Thomas M. Riffle, and a brothers, Clayton N. Riffle. Ron is survived by his daughter, Tambra L. (Phillip) Haley of Naples, FL, three grandchildren, Zachary Haley, Lynsey and Amanda Riffle, great grandson, Landon, and a sister, Nancy R. (Richard) Yothers of Ligonier. A service to celebrate Ron's life will be held Monday at 11:00AM at the J. Paul McCracken Funeral Chapel, Inc. 144 East Main Street, Ligonier with the Rev. D. Bruce Keen officiating. Interment will be in the Laurel Hill Cemetery. To send flowers or a remembrance gift to the family of Ronald M. Riffle, please visit our Tribute Store. "Email Address" would like to share the life celebration of Ronald M. Riffle. Click on the "link" to go to share a favorite memory or leave a condolence message for the family.